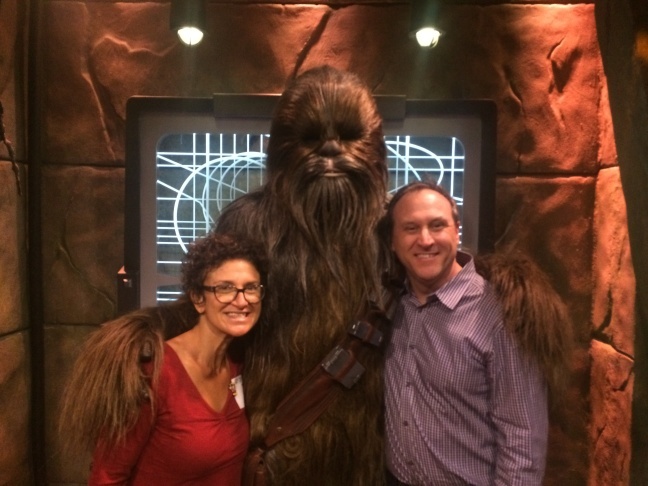 Alex Cohen, Chewbacca, and Walt Disney Imagineering's Scott Trowbridge. "Season of the Force" at Disneyland. Star Wars Launch Bay at "Season of the Force" in Disneyland's Tomorrowland. Hyperspace Mountain in Disneyland's Tomorrowland. 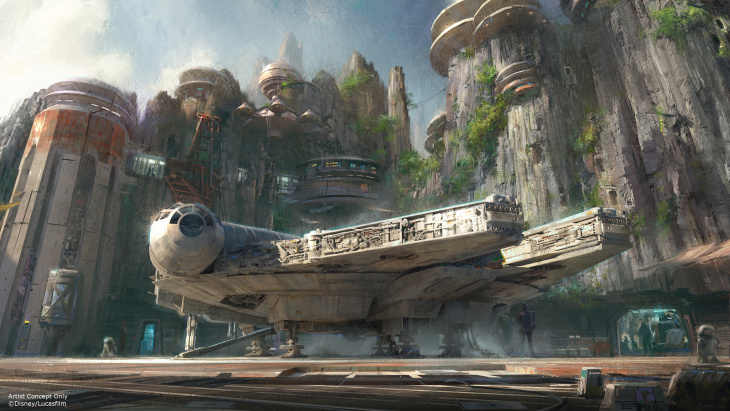 Concept art of Star Wars Land. 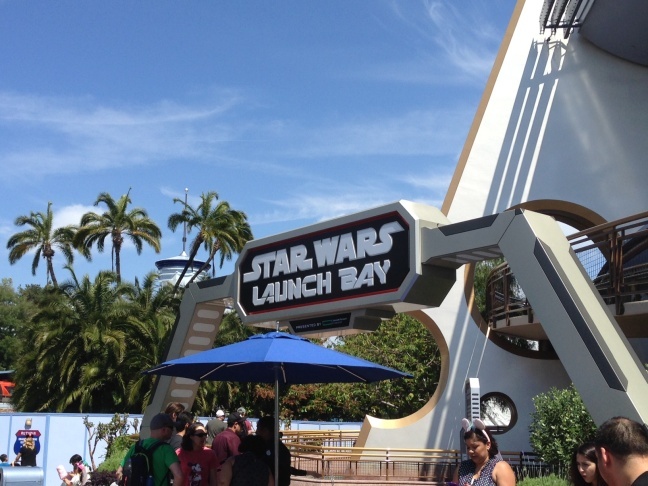 What was once in a galaxy far, far away is coming to a theme park near you. 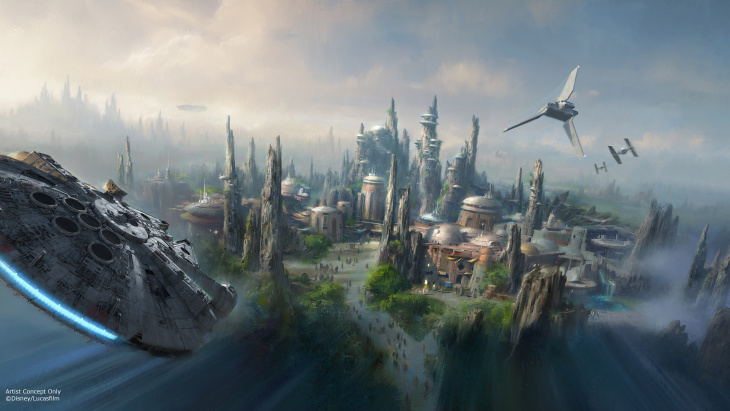 Construction begins on Disneyland's new Star Wars Land this month. The debut of the much-anticipated 14-acre mega-attraction will be the biggest land expansion ever at Disneyland — but fans will have to wait a while to see it. 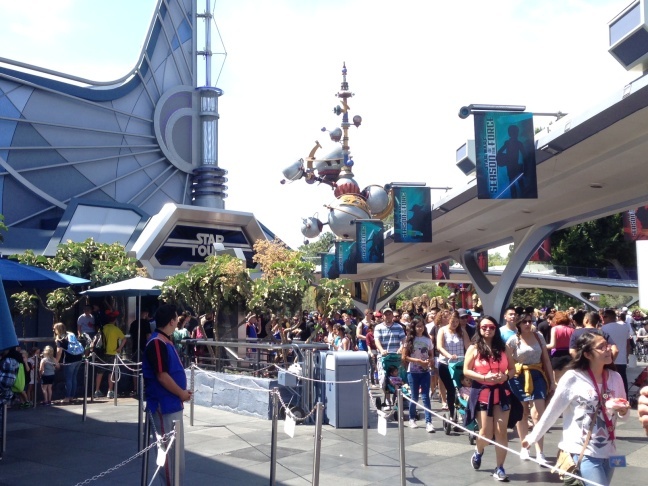 In the meantime, Disneyland's Tomorrowland has been given a Star Wars-themed reboot called "Season of the Force." Visitors to the park can now dine on Darth tamales and Cheese-3PO burgers at the Galactic Grill (formerly Tomorrowland Terrace). Kids can test out their light saber skills at a jedi training show. 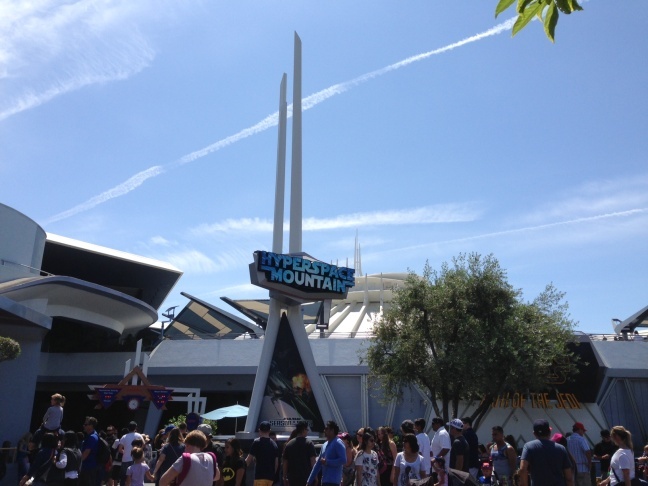 And Space Mountain has been rebooted as Hyperspace Mountain with music and imagery from the films. Walt Disney Imagineering's Scott Trowbridge is in charge of marrying the Star Wars franchise with the Disney brand. He gave Take Two's Alex Cohen a tour of "Season of the Force" and a little preview of what to expect from Star Wars Land. "I remember distinctly, me and my friends, riding our bikes down to the movie theater to see Star Wars for the first time. And at least for me, it was a revelation because here was this entire universe that was revealed, fully formed, with all the characters and creatures and weird places that felt like it had always existed and we were just glimpsing it for the first time." "What I'm doing now, which is this kind of this immersive entertainment design, is not something my high school guidance counselor ever told me about. But even back then I knew I wanted to tell stories, I wanted to give people experiences, I wanted to create contexts in which people were having these amazing experiences they couldn't possibly really be having. At the time, that felt like movies. And so from an early age I said I want to go to film school, I want to make movies. 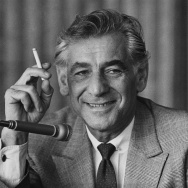 I ended up in the world of theater for a while and then I kind of bounced back and forth. 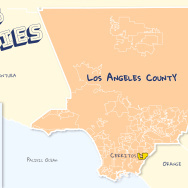 And then finally I was hired to do a job for a theme park and I was like, 'Oh my gosh this is a thing? It's like the best of both worlds. I get to use all these cool filmmaking techniques but actually create an immediate connection and context with the audience." "It is a big responsibility to think about how to bring Star Wars to life in the parks and in the physical world because we have 40 years of dreaming to kind of like pay off... [and] unlike a film or a TV or a video game project or something else, it's really hard to do a beta. Because our testing happens in concrete and steel, so it's really hard to make changes and so we really have to get it right the first time." "The first question we asked ourselves actually is, 'So who are we in this new story?' Cause it's not about watching these stories, it's not about reliving stories you already know, but we want to build a place where you can live your Star Wars story. What we're doing here in Season of the Force is a great place for us to celebrate those stories and characters we already know and love, our new lands are going to be a place where you can live your Star Wars story." "I hope he would be happy. One of the things that Walt Disney did was he always said Disneyland will never be finished. As long as there's imagination in the world, Disneyland will continue to change and evolve and grow. And that's exactly what we're doing today. If anything we try to follow kind of in the footsteps of his legacy which is really about constant innovation, constant change and constant improvement. So I think he would look at Star Wars as this great set of stories, because Walt Disney was first and foremost a great storyteller, and I hope that he would be happy with how we brought those great stories to life, and invited people to step into and get close to those characters and stories." 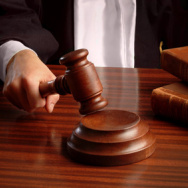 Black and Latino drivers disproportionately arrested for suspended licenses, per new study.